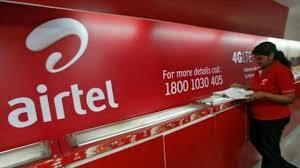 Airtel has launched a new Recharge pack to keep its stance in the telecom sector and to match Reliance Jio. Airtel's new prepaid plan is priced at Rs 398. On recharge of Rs 398, the user will get 1.5 GB of data and unlimited voice calling facility every day. This plan of Airtel will give tough competition to Vodafone and Reliance Jio. Airtel Rs 398 comes with the validity of 70 days. This plan is not for the selected user but this plan has been issued for all circles. Site TelecomTalk has first reported Airtel's new prepaid plan. In the Airtel 398 RS plan, you come with unlimited voice calls (local, STD, national roaming) and 90 SMS per day with 1.5 GB 3G / 4G data per day. Limit for voice calling has not been fixed. Airtel also has a plan worth Rs 399, which is 1.4 GB 3G / 4G data per day, unlimited voice calls (local, STD, roaming) and 100 SMSes per day. The plan comes with the validity of 70 days. Jio also has a plan worth Rs 398 to compete with Airtel's Rs 398 plan. Jio's Rs 398 prepaid plan comes with 2 GB 4G data per day, unlimited voice calls, 100 SMS per day and lives app subscriptions. The validity of this plan is 70 days. Reliance Jio's plan is offering more data than Airtel.